PIIM offers the best training to students who wants to settle up the career in Pay Per Click. Our students get the every possible support to become wise and technically sound. 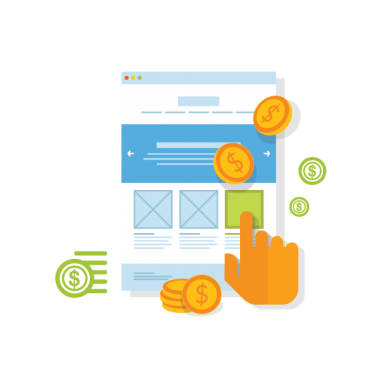 Our PPC campaign strategies are designed to meet the needs of every kind of business and their market condition. We teach our students up-to-date, Pay Per Click Techniques that include: Paid Search Ads, Video Advertising, Display Ads, PPC Remarketing and Social Advertising. This is the reason we become most trusted PPC/SEM Training Institute in Patiala, Punjab. PPC , pay per click, also known also cost per link. This method is used to drive traffic to your website. In this method advertisers pay the particular amount everytime a person clicks on the ad. PPC helps to yield a high ROI. Our Knowledgeable trainers as well as our transparent teaching methods are the few traits which makes us best. Our PPC Course Trainer have indepth knowledge of the Field. Every Student at PIIM, who opts Online Marketing Course in Patiala will be given 12 Certificates including Google,Yahoo and Bing after completion of the course.